Oftentimes, we see how flawless celebs look on the red carpet, but we rarely get to see the getting-ready process. We live for all the insider tips and cult products celebrity glam squads depend on to create these stunning looks. It’s your lucky night because you get an exclusive behind-the-scenes look at how HBO actress Evan Rachel Wood of Westworld got all glammed up for the Emmys. Wood always stuns on the red carpet with her edgy hairstyles, so we jumped on the opportunity to see how it all goes down with Tresemmé celebrity stylist John D.
We have the scoop on how he executed this sleek style. Scroll on for his step-by-step process and his exclusive photo diary. 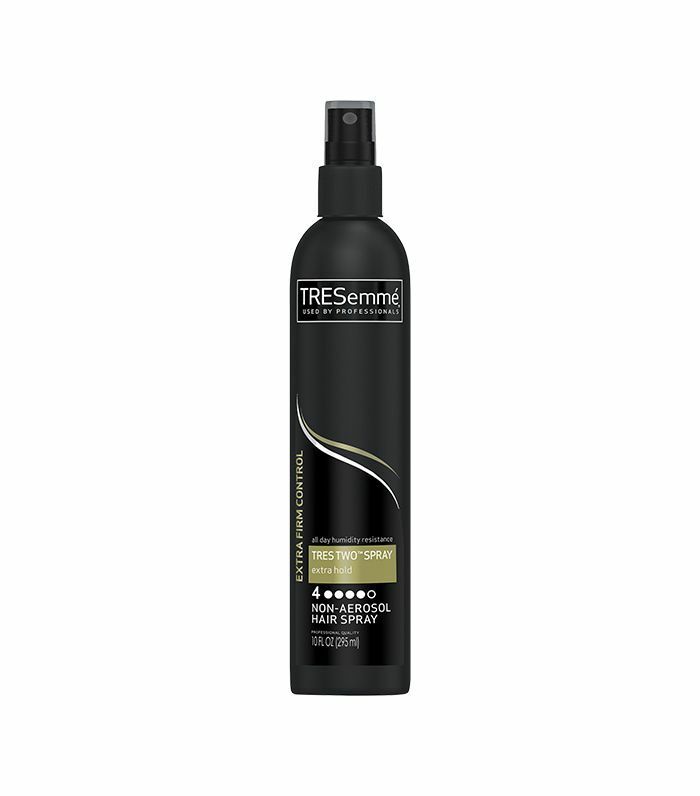 John began by prepping and cleaning Wood’s hair with Tresemmé Repair & Protect 7 Pre-Styling Spray ($5). 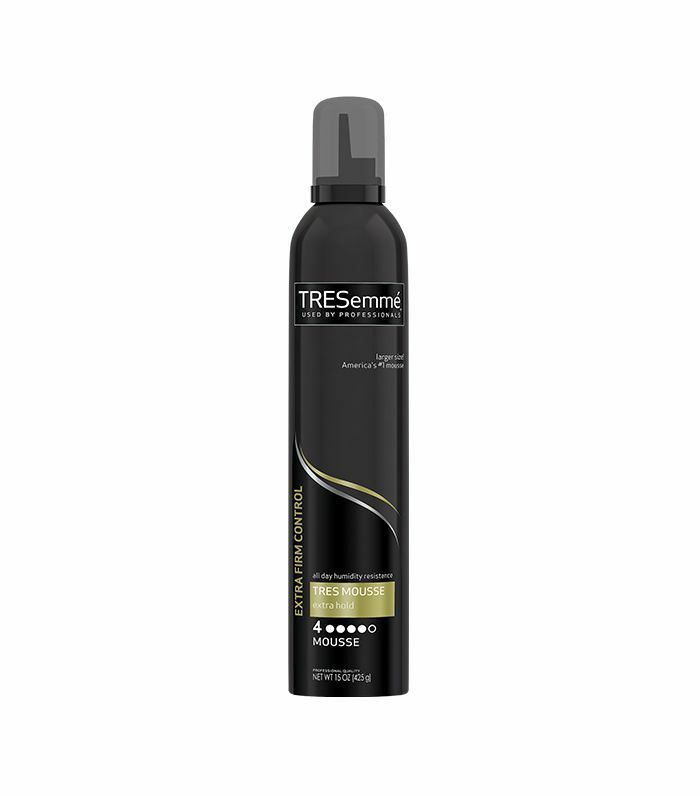 Next, he spritzed a dollop of Tresemmé Tres Two Extra Hold Mousse ($4) into her root area. "I use the pre-styling spray to protect and nourish the hair and the mousse to create some texture for added control while styling," he explains. To give her hair a soft lift, he blow-dried her hair with Ghd Air Hairdryer ($199) accompanied with a round brush. To lock in her style, John took medium sections of her hair and curled them with Ghd Curve Creative Curl Wand ($199) to create soft waves. He followed up by sectioning her hair into three sections: top, middle, and lower half. Then he lightly backcombed all her hair except her top bang section. He took the lower section and pinned it up into a french twist with a few bobby and hair pins. Next, he ran the Ghd Platinum Styler ($249) flatiron through the top section of her hair to smooth it down and add shine. He brushed this section of hair back and pinned into place laying the section over the french twist. For finishing touches, he spritzed Tresemmé Tres Two Non-Aerosol Hair Spray ($4) all over the sides and back, and then he ran a fine-tooth comb over the spray to create a seamless look. He locked the hair down with a generous spritz of Tresemmé Tres Two Extra Hold Hair Spray ($6), and then he attached a gorgeous jeweled V-shaped barrette by Lelet NY. Tell us what you think of Evan Rachel Wood’s updo in the comments below. Next up, check out the best beauty looks from the Emmys.